#MJWarriorsDXB Back To Attack Sandstorm! Tomorrow the ‘fitness elite’ of the #MJWarriorsDXB will tackle Talise Fitness’ ‘Sandstorm’ at 7.00 am @ The Jumeirah Beach Hotel. David Mackenzie, David Flemming and Matty Hayfield will complete the 4km/20 obstacle course. As usual we will be going at the course at full pace and it would be great if you come and see us and give us your support! If you do come down please come and say hello! The #MJWarriorsDXB is a social initiative run by The Mackenzie Jones Group (Mackenzie Jones, MENA Resourcing and Mums@Work ME) to get our consultants and clients together to have fun and undertake various challenges. 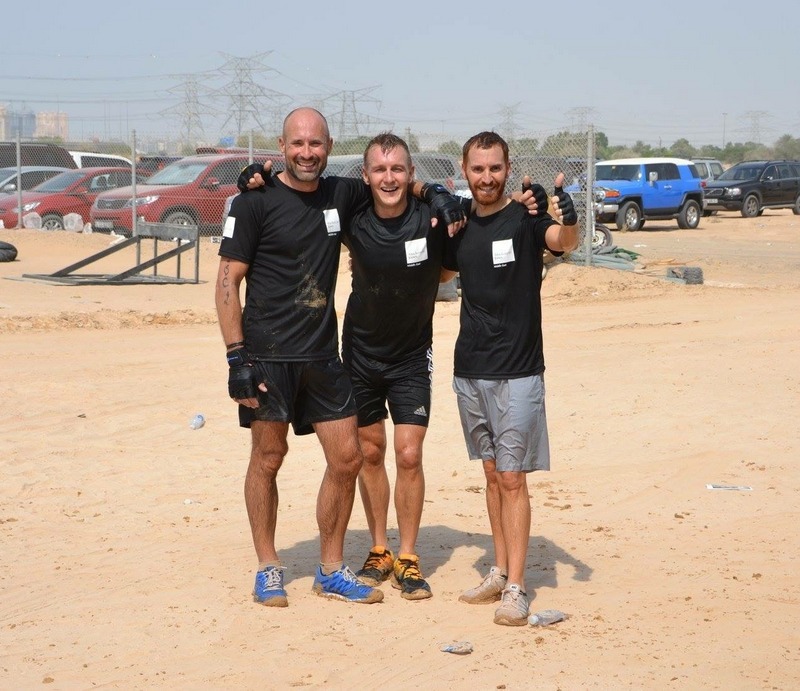 In the last year we have participated in Desert Warrior, Standard Chartered 10km Run, The Dubai Ironman, Spartan and are now looking forward to testing ourselves in the intermediate category at Sandstorm. If you would like any further information on our future MJ Warriors initiatives then please do not hesitate to contact us!